The Nikkei 225 and Japanese Yen have met my price targets for this leg of the new uptrend. It has been quite a thrust higher for the Nikkei 225, but the sinking Yen has helped. Let’s take a deeper look the Japanese marketplace to get a better idea of where we are and how we got here. Image to left from recent cover of The Economist. The Nikkei 225 has traded up to the 1996 trendline which is currently between 15K and 16K (My projection from earlier in 2013.). The relentless advance has pushed the index to an extreme overbought condition that exceeds any reading during the 1980’s secular bull market. Unlike in 2000 and early 2006 the 200-month sma did not offer any technical resistance in April. This is an impulsive move, not corrective. Click to enlarge image. 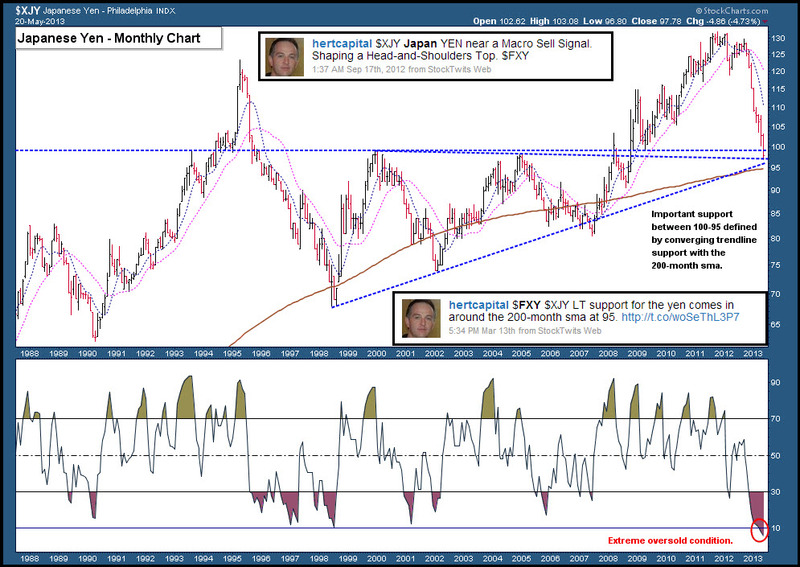 The Japanese Yen has declined into an important support level (My projected PT from earlier in 2013.) 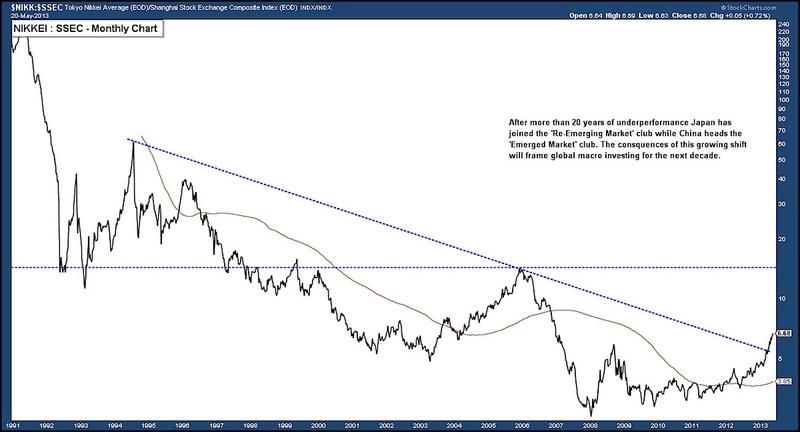 defined by the convergence of long-term trendlines and the 200-month sma. 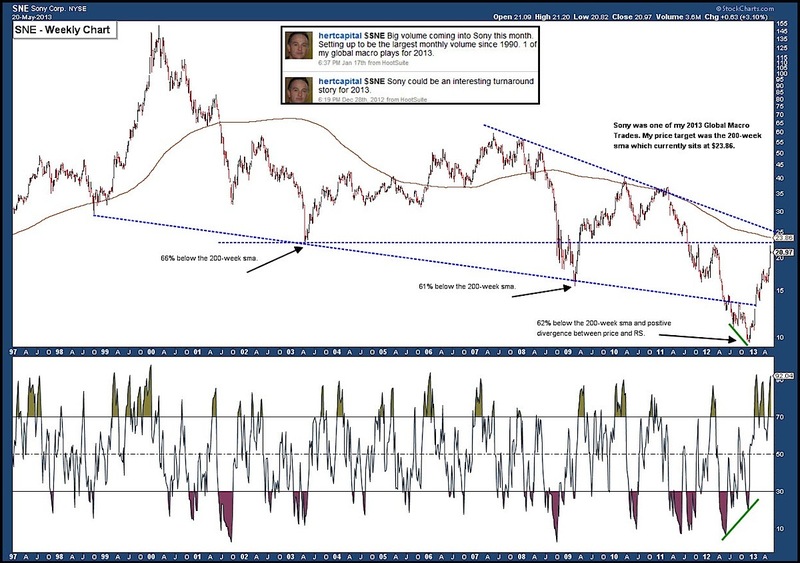 The yen should begin to put in a short-term bottom and rally to 105-106 before resuming decline. Click to enlarge image. Sony (SNE) is one of my 2013 Global Macro trades. My price target to start the year was the 200-week sma which currently rests at $23.96. The news last week that Dan Loeb personally delivered a letter outlining his recommendations for reforming the company to generate more shareholder value pushed the stock to $22.23. A test of the 200-week sma seems likely at this point, but it should provide stiff short-term resistance. Click to enlarge image. The impact of Abenomics extends beyond the Japanese stock market (Nikkei 225) and the Yen. It is clear that Japan is looking to re-balance the economic power in Northeast Asia that has tilted dramatically towards to China. At the same, China is struggling to define and implement a new economic policy that will take it from an export led economy to domestic consumption orientated. 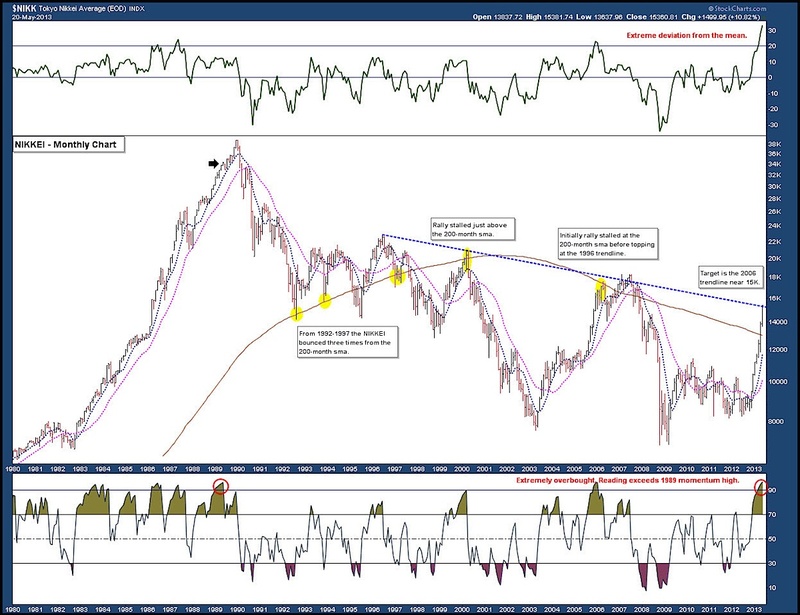 Let’s look at the Nikkei 225 vs Shanghai Stock Exchange (SSEC). Click to enlarge image. 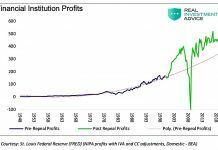 Moving forward Federal Reserve policy analysis has to factor in Abenomics and BOJ expansionary policies. It is clear that the direct target is the Japanese economy and waning economic influence at a global level, but the aggressive BOJ policy has to be viewed within the context of the expansionary policies adopted across the world. 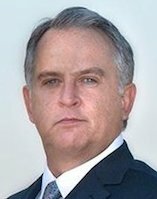 It is my view that the liquidity wave generated by the BOJ provides some cushion for the Federal Reserve to begin tapering their quantitative easing program. Montary Policy image on right from Morgan Stanley. Japan has entered the ‘Re-Emerging’ market category. Since early 2010 I have loosely categorized global economies as ‘Re-Emerging’ or ‘Emerged’. The ‘Re-Emerging’ markets started with the United States and Europe was added in the summer of 2012. The ‘Emerged’ markets include China, Brazil, Russia, Chile, India and other select markets. How the Dan Loeb activist move is received will provide clear insight into whether the Japanese corporate world is ready to join the government and BOJ in breaking with the policy as usual approach that has pervaded Japan for the last 20+ years. Ignore ‘Crisis Addicts’. There will be challenges and setbacks for Japan, but don’t let the ‘Crisis Addict’ arguments influence your trading decisions. The track record of this band of market pessimists has been wrong about the United States and Europe. Note that I closed my SNE long position on the Dan Loeb news and currently have no exposure to the Nikkei 225 or Japanese Yen. Thanks for reading. Trade safe, trade disciplined.